The quality found in handmade baby shower gifts is unparallelled than anything you may find at a single mass merchandise store like Babies R U. In some cases you may pay a bit more but for the quality and workmanship it is well sorth it. Besides, the best way to find a really cool and unique baby gift is to buy handmade. And in some cases the gift will be truly one-of-a-kind. If you're an adventurous or crafty type, you could even make your own handmade baby gift. There are many items that are very simple to make with a sewing machine, some unique fabric, and a little bit of creativity. For instance bibs and burp cloths, or baby blankets and booties. Whatever direction you decide to take it I want to show you where to get the best handmade baby shower gifts found on the web. 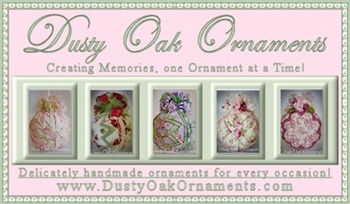 When I am shopping for handmade anything my favorite places to browse through are Etsy.com and Artfire.com. They are both HUGE online market places filled to the brim with every type of handmade item you could wish for. Handmade baby booties - I hand picked from some of my fav crafters and artisans making handmade baby booties and shoes. From felt shoes to soft soled cloth and even sherpa booties. Handmade baby sweaters - A list of some great sellers and online shops for hand knit sweaters and more. Handmade baby blankets - Unique and beautiful hand sewn baby blankets from various online sources. Some of the most basic of newborn baby needs are the most simple to make by hand. With even minimal sewing experience you can easily throw together a really cool baby blanket or some burp cloths. Is your favorite expecting Mama thinking of cloth diapering? How about sewing up some cloth baby wipes and washcloths? To name a few others; baby booties, bibs, and there are even some "no sew" fleece baby blaket options!